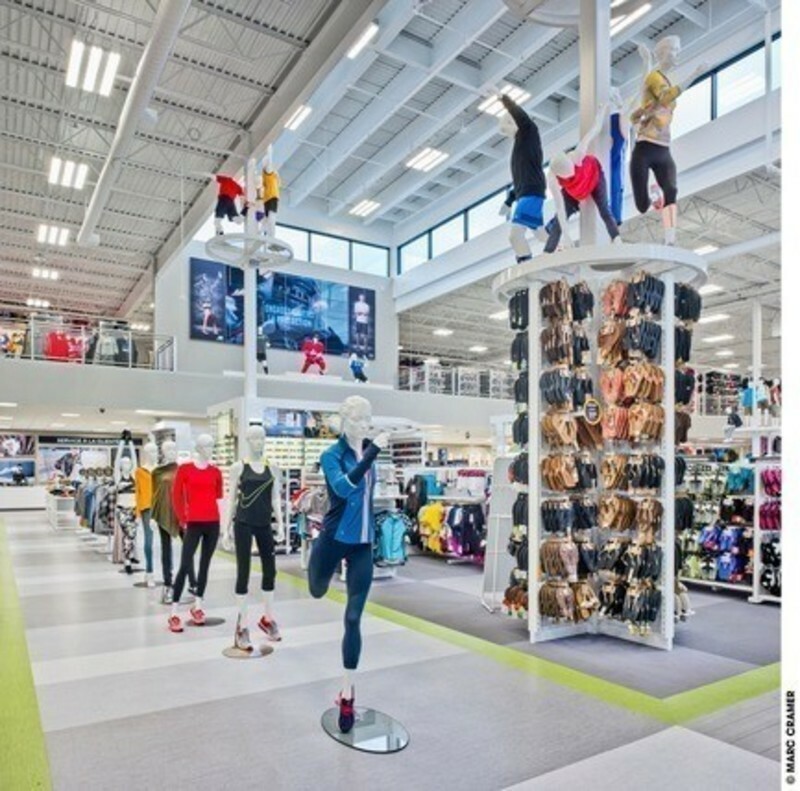 On November 30, 2016 T3 officially opens its doors. 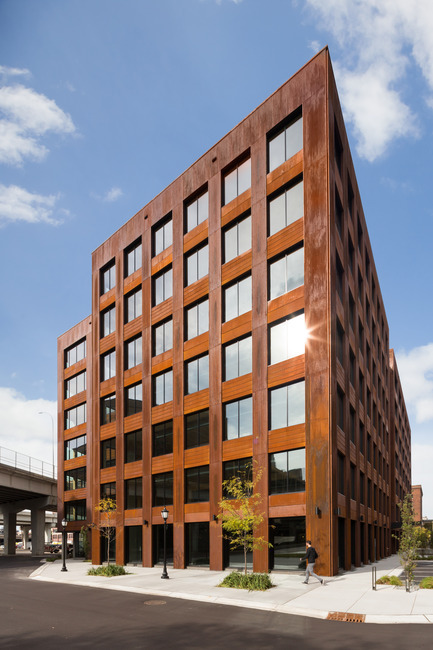 Designed by Vancouver based Michael Green Architecture (MGA) in conjunction with Architect-of-Record DLR Group, the seven storey office building in Minneapolis’ North Loop neighbourhood is the largest mass timber building in the United States. 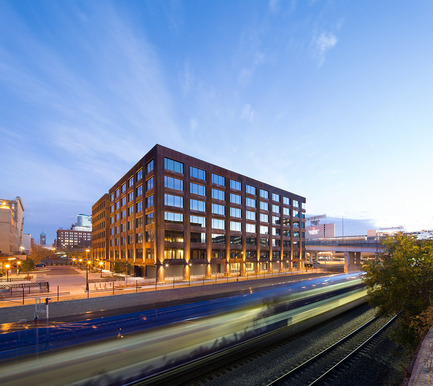 When Hines approached MGA with this exciting project they envisioned T3 as a unique model of new-office building; an opportunity to offer a modern interpretation of the robust character of historic wood, brick, stone, and steel buildings with the additional benefits of state of the art amenities, environmental performance, and technical capability. 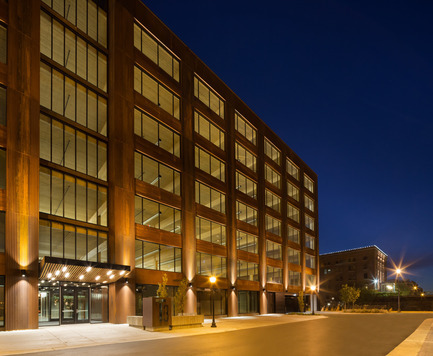 The project is an investment in both the past and future of Minneapolis and in the Warehouse District’s rich history. 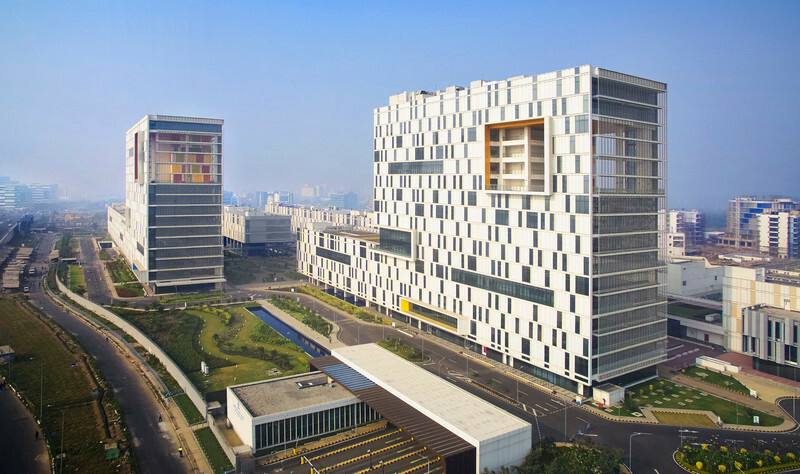 The design objective for T3 was to build on the character of the past with a modern perspective. 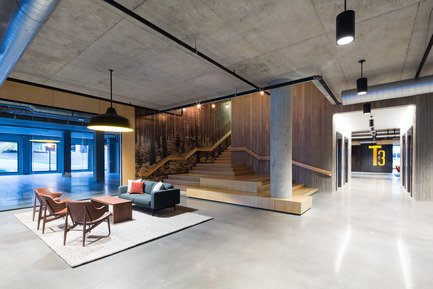 As businesses look to new competitive models for attracting staff, the goal for T3 was to provide a warm and inviting environment that would attract and retain employers and employees. 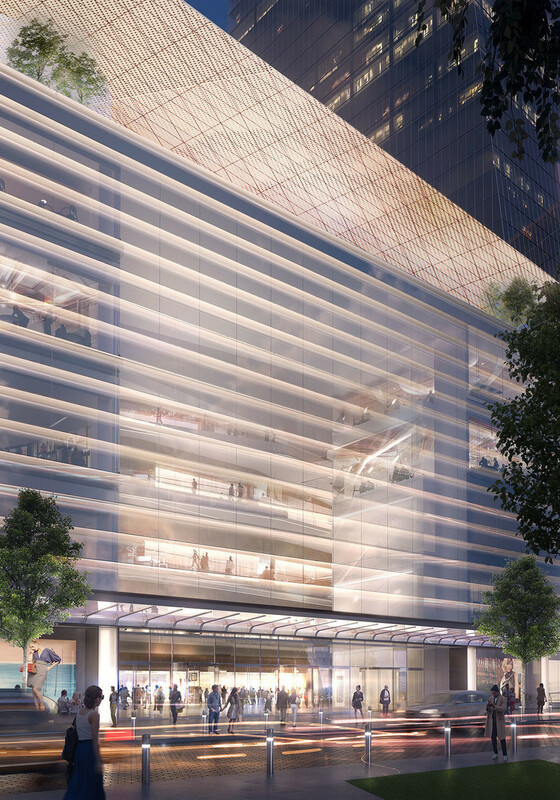 T3, which stands for ‘Timber, Technology, Transit’, offers 224,000 square feet of office and retail space. 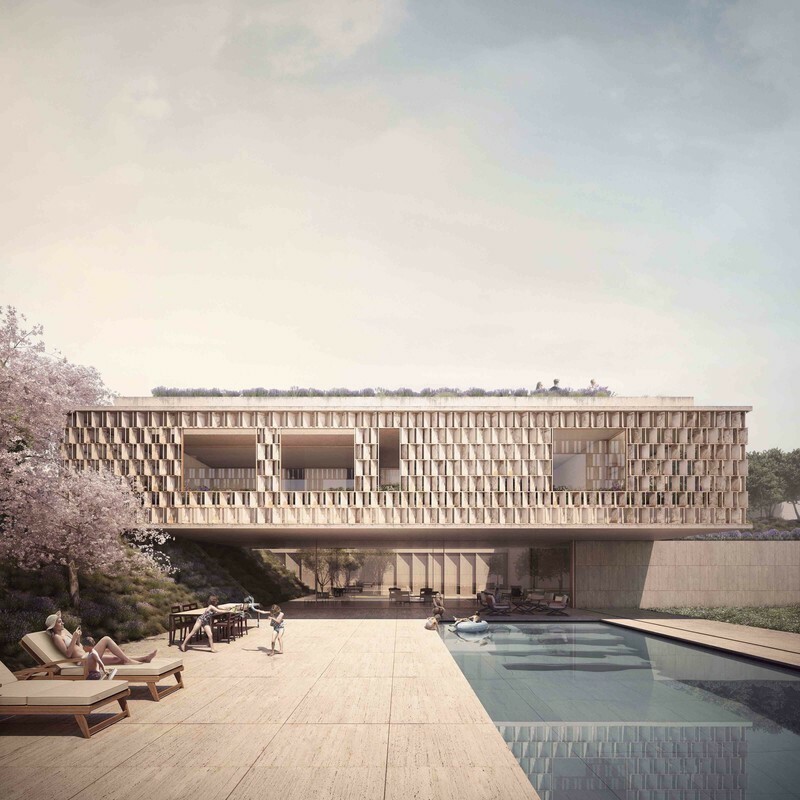 Over 3,600 cubic meters of exposed mass timber columns, beams, and floor slabs recall the heavy timber construction of the building’s predecessors. 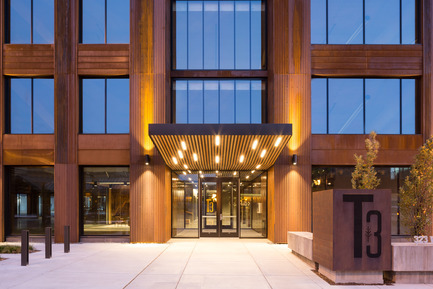 T3’s modern technological approach uses engineered wood components (chiefly glulam and nail laminated timber) for the roof, floors, columns and beams, and furniture. A significant amount of the lumber used to fabricate the NLT comes from trees killed by the mountain pine beetle. 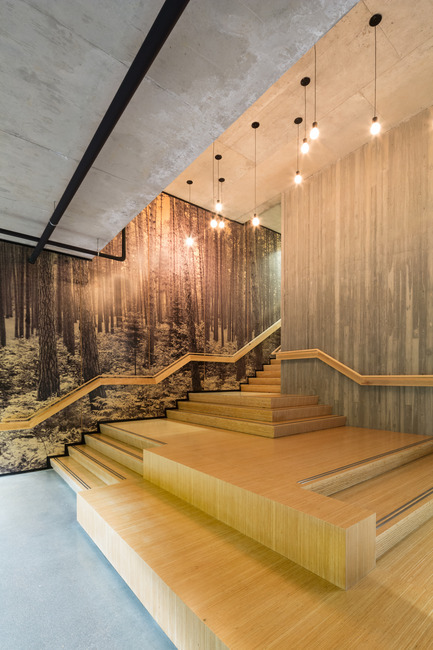 These modern materials bring the warmth and beauty of wood to the interior, and promote a healthy indoor environment for occupants. As a result of its wood structure, T3 was erected at a speed exceeding conventional steel-framed or concrete buildings. 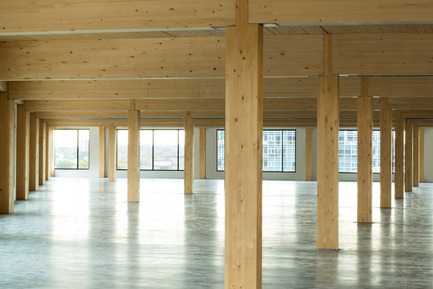 In less than 10 weeks, 180,000 square feet of timber framing went up, averaging 30,000 square feet of floor area installed per week. It is also lighter than comparable steel or concrete structures, reducing the depth and extent of excavation and foundations. 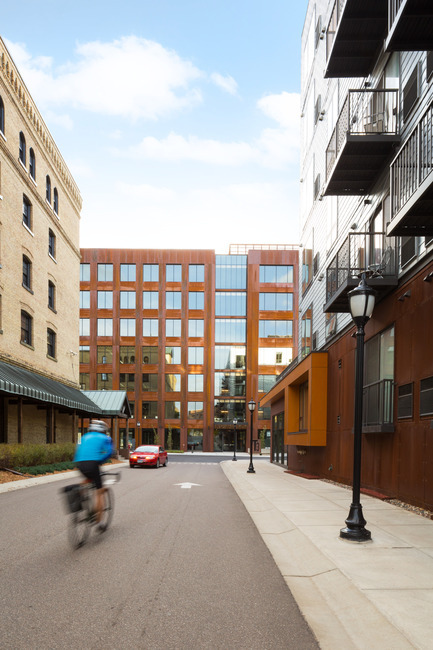 Additionally, the embodied carbon in the building’s wood structural system is lower than that found in conventional buildings found throughout most of downtown Minneapolis and the North Loop. 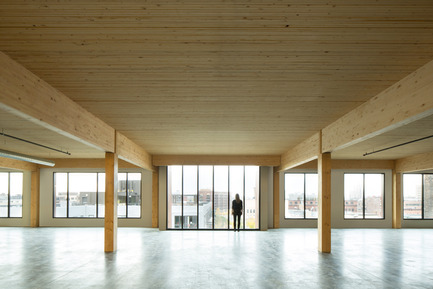 The building’s aesthetic success can also be attributed to the mass timber construction. 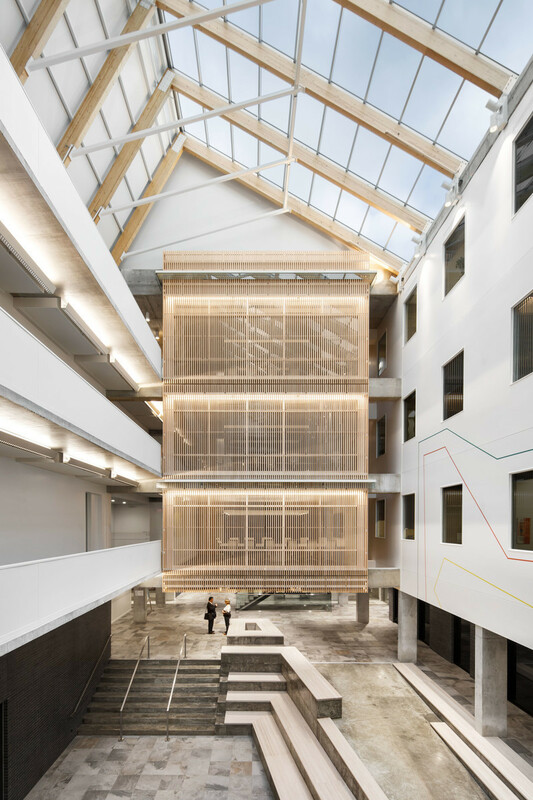 Candice Nichol, MGA Associate and T3 Project Lead, says “the texture of the exposed NLT is quite beautiful. 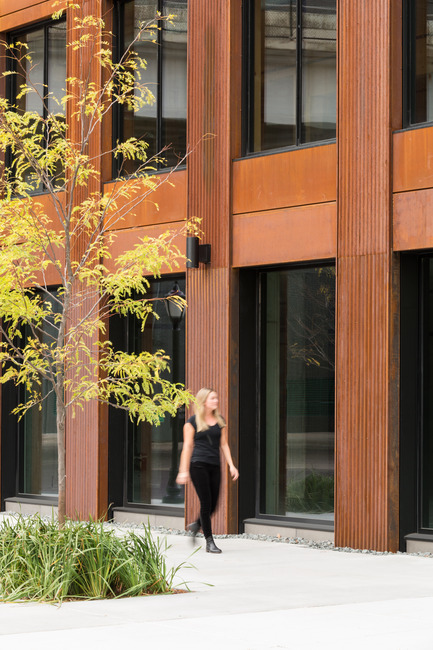 The small imperfections in the lumber and slight variation in color of the mountain pine beetle wood only add to the warmth and character of the new space.” Extensive exterior glazing at every level as well as views into the ground level social workspace with wood furniture, booths, and a feature stair, allow the public to experience the building. 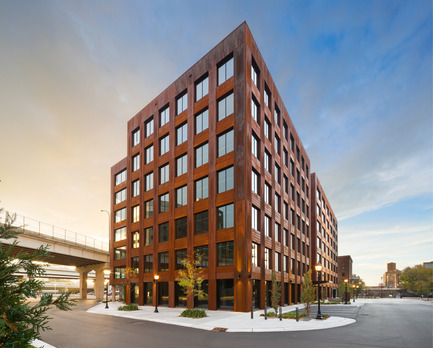 T3 is currently the largest completed mass timber building in the U.S. With changing building codes throughout North America, tall wood buildings will become more common. 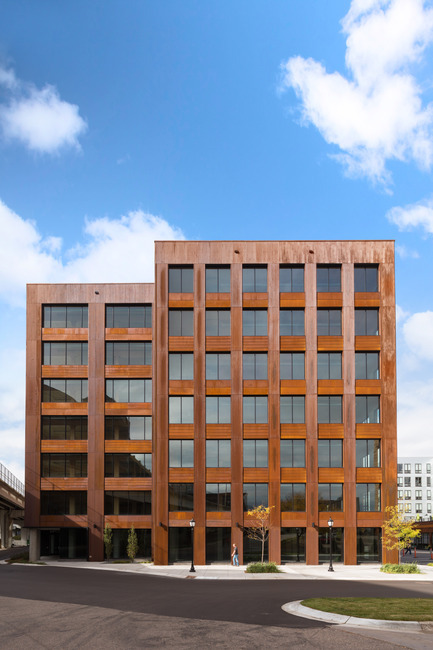 A pioneer in this building type, T3 has broken new ground and is perhaps a prototype for future commercial mass timber buildings. 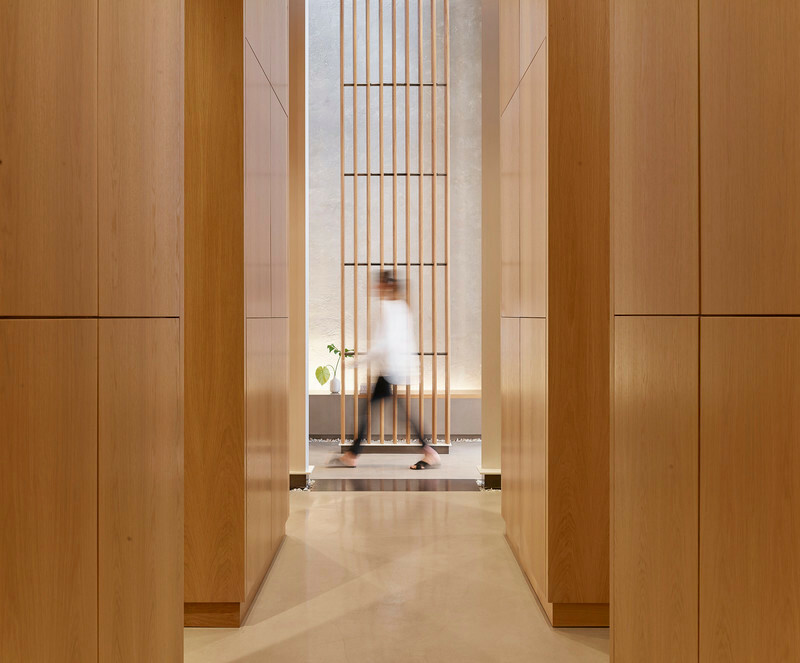 MGA | Michael Green Architecture is a mid-sized architecture and interior design firm founded to pursue community, social, and sustainable projects that we feel passionate about. 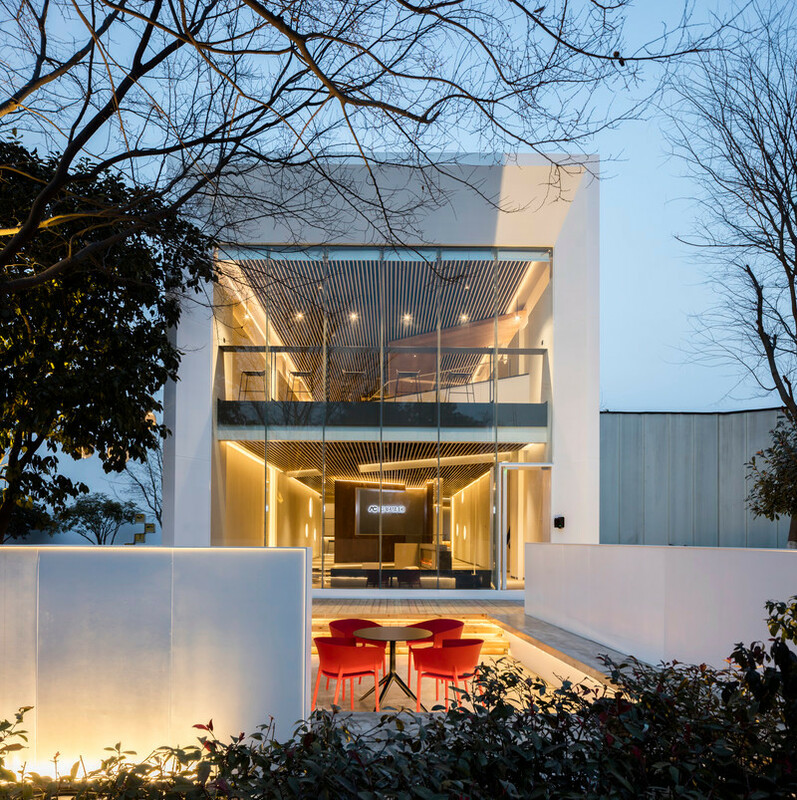 Our projects engage their community with elegance and simplicity with a singular purpose - to meet our clients' goals. 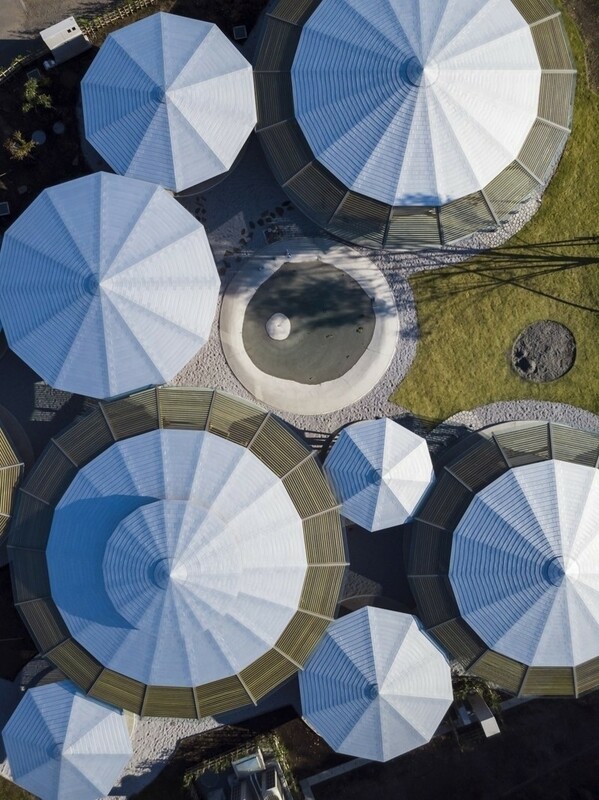 We see architecture as more than a building, we see it as an opportunity to tell a story. Each project has a unique story. We hope each captures the spirit of the client and community, and enhances the wonder of living. A beautiful building falls short if it doesn’t also speak to us with meaning; if it doesn’t connect with a story; and if it doesn’t contribute to a positive experience. 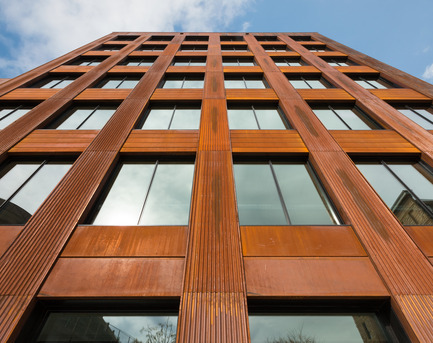 MGA supports and advocates for the tall wood movement. 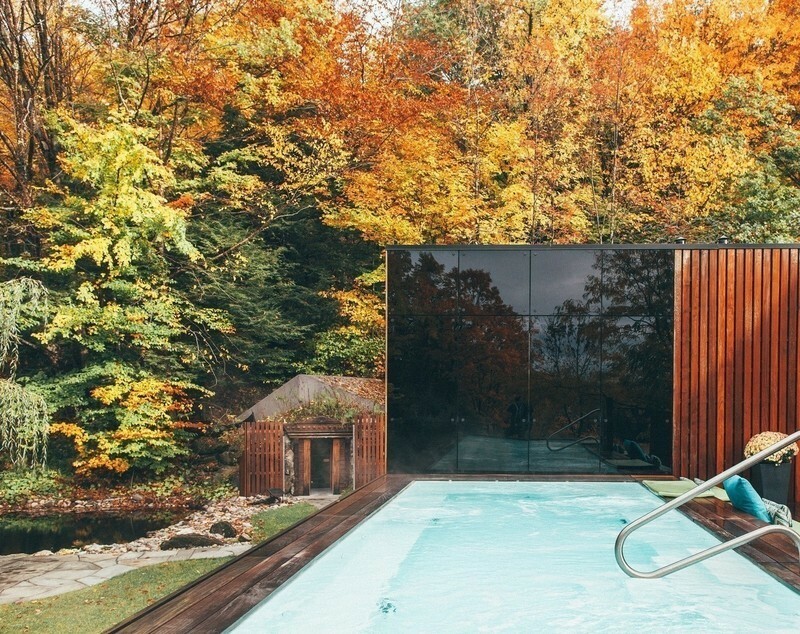 Wood is a renewable, carbon sequestering product that is grown naturally. 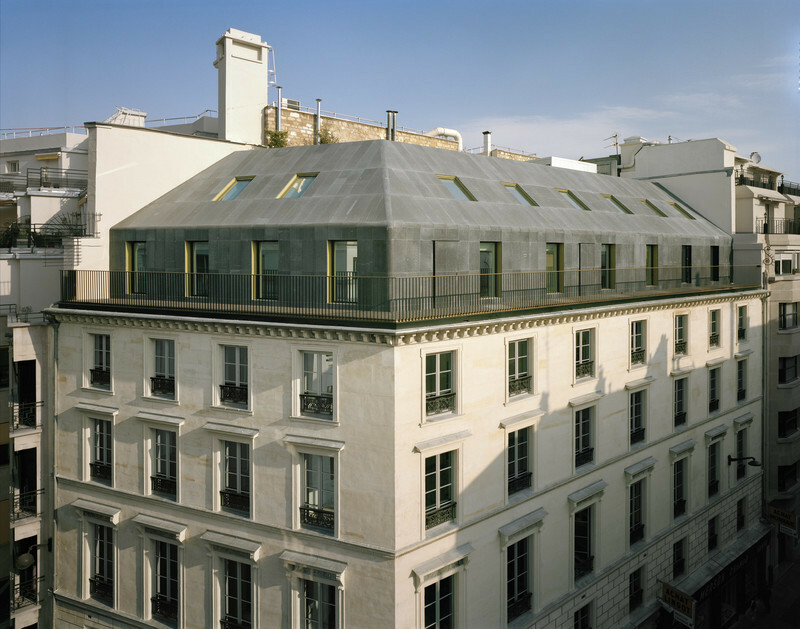 It provides a healthy indoor environment to work and live in that other building materials can’t. It is a durable and enduring material that has exceptional life cycle benefits. 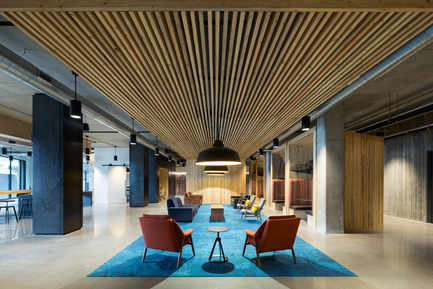 As a designer, wood offers an evolving medium that is both complex and a new frontier for design. In many respects we are taking knowledge that disappeared a century ago and revitalizing the next century of building more sustainably. No two pieces of wood can ever be the same. 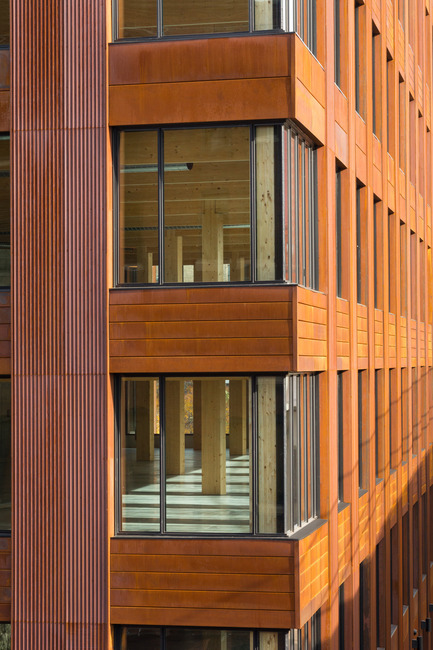 Wood is nature’s fingerprints in a building. People are naturally drawn to surround themselves with the feeling and qualities of nature.